To complete my series of discussions of war metaphors in politics, I now consider metaphors derived from defensive tactics. In a bit of rare good timing, just today President Obama used one of these metaphors in a speech about the possibilities of Al Qaeda attacks on Americans around the world: “The United States is never going to retreat from the world,” the president told a crowd of Marines at Camp Pendleton in California. “We don’t get terrorized.” (http://firstread.nbcnews.com/_news/2013/08/07/19916375-obama-us-will-not-retreat-from-abroad-we-dont-get-terrorized). Of course, the notion of retreating is derived from the practice of an army withdrawing from a forward position when they are being defeated in a battle. Here are a few more examples of metaphors of defensive war tactics used in political discourse. Retreat from Long Island: Washington leads the Continental Army in a retreat across the East River into Manhattan, August 27, 1776 – engraving by James Charles Armytage from a painting by Michael Angelo Wageman, 1897. When two armies are fighting in a battle, the army on the offensive will be shooting guns or missiles at the other army. The second army is said to be under attack. In politics, candidates running for office or elected officials may be described as being under attack if they are constantly criticized for their views or behavior. Example: George W. Bush was constantly under attack from Democrats while he was in office. Later, his Democratic successor, Barack Obama, was always under attack from Republicans. The flank is the fleshy side of an animal used for meat. It may also mean the side of something. In military terms, the flank is one side of the army’s forces. To be outflanked means that the opposing army has come around one side and is attacking the other force directly. A political party that has been defeated in a certain situation by the clever actions of the other party may be described as being outflanked. Example: In Barack Obama’s first years in office, he was outflanked by a Republican controlled Congress on many occasions. The word maneuver literally means the work of the hands. In military procedures, a maneuver is an action that moves a group of troops or equipment in a certain direction to gain advantage in a war. 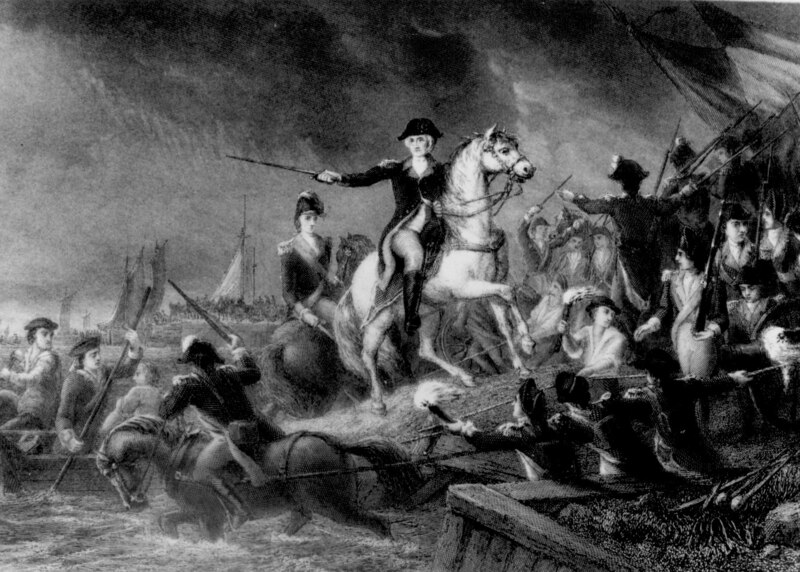 A losing army may be described as being outmaneuvered by the opposing army. In politics, a losing politician or political party may be described as being outmaneuvered by their opponents. Example: Although many critics of Barack Obama believed that he was not born in the United States, he outmaneuvered them by producing his birth certificate from the state of Hawaii. When a military force is losing a battle, they may have to return to their base instead of moving forward. This is called making a retreat. In politics, a candidate in an election campaign may have to give up and drop out of the race. This may also be called making a retreat. Also, any time a politician goes back to any earlier position, it may be called a retreat. Example: When Barack Obama was elected, he promised to close Guantanamo Bay prison. However, he later changed his mind and his retreat on this position angered many of his liberal supporters. As mentioned, the land fought over in a battle is called gaining or losing ground. In other words, a losing army may give ground to the enemy. In politics, a person who loses an important argument may be described as someone giving ground to his or her opponent. Example: In 2011, many Republican Congressmen refused to give ground on the discussion of ending tax breaks for the wealthiest Americans. Another way of saying that an army is defending the ground is to say defending the turf. Turf is also a term commonly used in football where two teams also fight for ground on the football field. In politics, a person who must defend his or her position in an argument may be described as defending his or her turf. Also, a presidential candidate who does not win the most votes in his or her own state in an election may be described as failing to defend his or her home turf. Example: In the 2000 presidential election, Al Gore was not able to defend his home turf in Tennessee as the majority of votes in that state went to George W. Bush. In war, the place where the armies meet to fight each other is called the front line. It can be used literally in terms of battles in war, or metaphorically in battles of political policies. Example: President Lyndon Baines Johnson put himself on the front lines of the war on poverty in 1964. 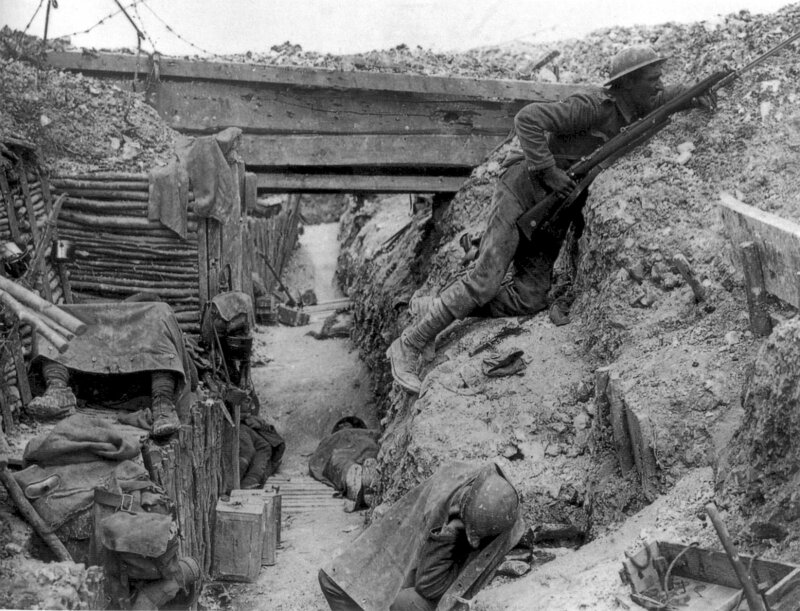 During World War I, soldiers had to dig deep ditches or trenches to protect themselves from enemy attacks. This type of fighting wars was called fighting in the trenches. 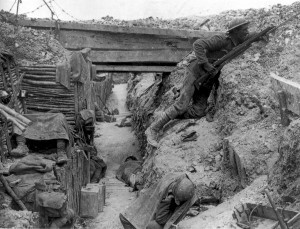 Metaphorically, politicians involved in complex negotiations or arguments may be described as fighting in the trenches. Example: Although John McCain fought deep in the trenches for the presidency in 2008, he was not able to win the election. After an army gives ground in a war, they must start again from a new position. This position can be called a new line of defense. In politics, a new way of making an argument may be called a new line of defense. In common terms, a new way of preventing a problem from happening may be referred to as a new line of defense. Example: When the unemployment rate goes higher and higher, the new line of defense is to extend unemployment benefits to people out of work. In a very common metaphor, political arguments are referred to as battles. When a politician is losing an argument with his or her opponents, we may say that this person if fighting a losing battle. Example: Gun control advocates often complain that they seem to be fighting a losing battle since Congress always seems to fail to pass gun control laws. Shooting a gun may also be called firing a gun. When an army is being shot at, they usually shoot back. This may be called returning fire. In politics, responding to a criticism by making a counter argument is called returning fire. Example: In the 2011 Republican primary, Mitt Romney returned fire after being criticized by Newt Gingrich. The term ward originally meant a guard or sentry in a military situation. To ward off someone meant to fight off an intruder. In common terms, to ward off something means to prevent something bad from happening. Example: Congress is always trying to ward off increasing the national debt by passing legislation to reduce government spending. When a military force is losing a battle, the soldiers may need to be inspired to keep on fighting. This is called rallying the troops. In common terms, any group of workers or voters that need to be inspired may be described as rallying the troops. Example: Barack Obama had to rally the troops in order to get support from his political base to win re-election in 2012.